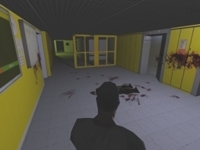 Fight terrorists in an authentic virtual version of the TU Freihaus, and protect Professor B.! 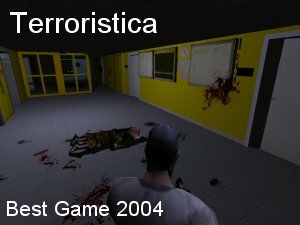 Amazing game featuring shadow mapping, bumpmapping and great lighting! 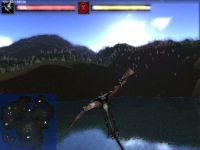 Fly a dragon and save your castle (and treasure) from the evil dwarves! This game is full of great effects, like reflective water using fragment programs, normal mapping, etc. Great multiplayer motorcycle action! 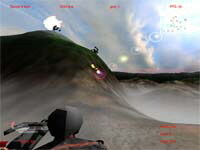 Shoot your opponents on an offroad terrain! 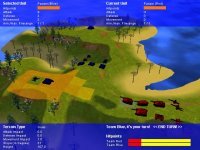 Round Based strategy game, featuring different unit types, level of detail terrain, and cel shading! How do you doo? This fast-paced futuristic racing game will make you addicted to speed - if you can stay on track! Also visit the game's homepage. This game is more than the standard space shooter, it features a "command" mode where you can set waypoints and targets, and also has many greatlooking effects! 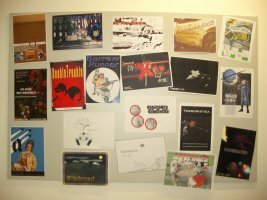 Burn Stadlposts and evade the evil H.I.A.S.! In this Pirates Remake, you can bomb the other ship to bits on a split screen! Build castles, cast magic, and fight mystical monsters and other witches! Very nice terrain engine! This is a remake of Asteroids but in 3D. As with the classic, your goal is to blow up all the asteroids, which break up into smaller parts when they are shot. This is a racing game of a different kind. Race your barrow to the pole position! 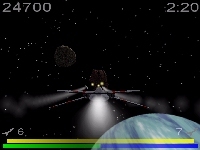 The classical Star Wars space shooter, this time with multiplayer splitscreen mode! Defeat evil clowns, who somehow look like dwarves with red noses. Nice glow effects! This is an unusual game that will be the most fun if played using Dance Pads! Steal all the valuable items from a museum! 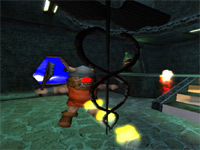 In this hack'n'slay-like Role Playing game, your goal is to rescue the princess! Yes, again! The computer version of the old indians vs cowboys game everyone played during childhood! A Samurai sword fighting game where you can slay Link. 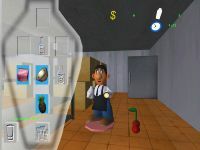 Features dynamic interactive music. 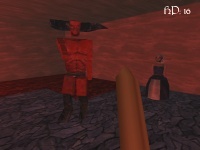 You have to use the skills of your two characters to solve the levels! Help a bartender (who looks a lot like Super Mario) to get together the right ingredients for his cocktails! This year's Simpsons game is an adventure. 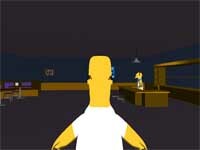 Help Homer get back his beer! Ride down a snow covered track, but beware of the trees! 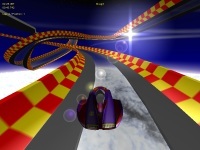 A time challenge racing game with nice physics! 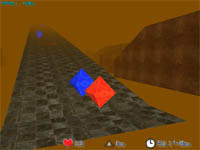 The 3D version of the bubble-shooter classic game Pang! It's more than one dimension harder than the original, though! Help the poor little ESA Mars Rover against the evil NASA Mars Rovers who steal its equipment! 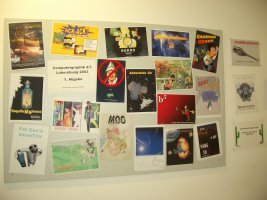 A game simulating the hard work of the annoying flyer distributors that always obstruct your way in front of the Freihaus! Try to achieve the most neckbreaking snowboard maneuvers in this game! Help the cow get back its austrian pie. 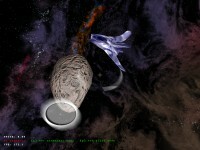 Space shooter with interesting rocket physics! Last update on 6. Mar 07. Comments to kalkusch (at) cg.tuwien.ac.at.